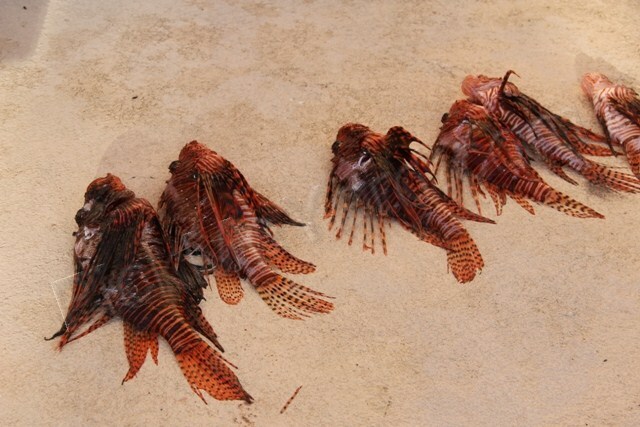 This entry was posted on August 23, 2012 at 10:46 am and is filed under Uncategorized with tags are lionfish deadly, lionfish cookbook, Lionfish in Florida, lionfish in grand cayman, lionfish in US and caribbean, lionfish invasion, lionfish recipes. You can follow any responses to this entry through the RSS 2.0 feed. You can leave a response, or trackback from your own site. 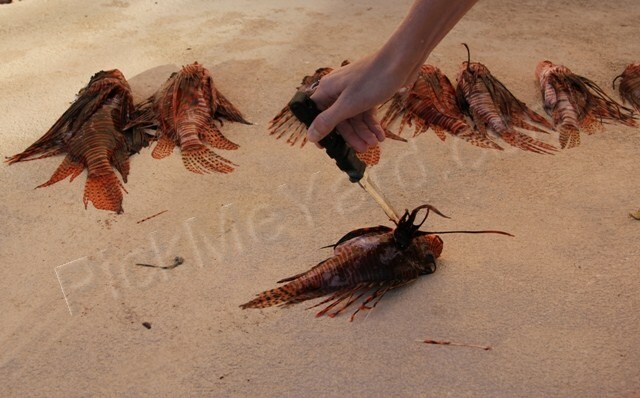 I had no idea you could eat them. When I first saw your post, I thought for a sec “My gosh – that pinky is WAY too close to those spines” – then realized it was fake. Heh. 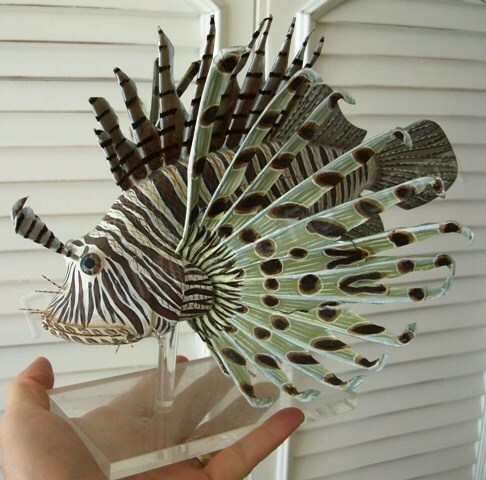 Hi, I love the lionfish miniature.. Do you know where I could buy one?